When to Start Teaching Your Baby Sign Language – Or is it too late? 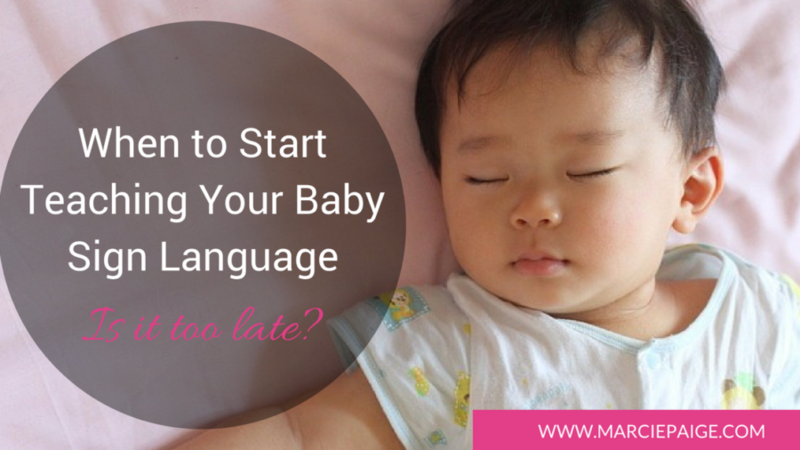 You’ve been home with your new bundle of joy for weeks now, and you are excited to start teaching your baby sign language, but you wonder… “WHEN should I start??“. 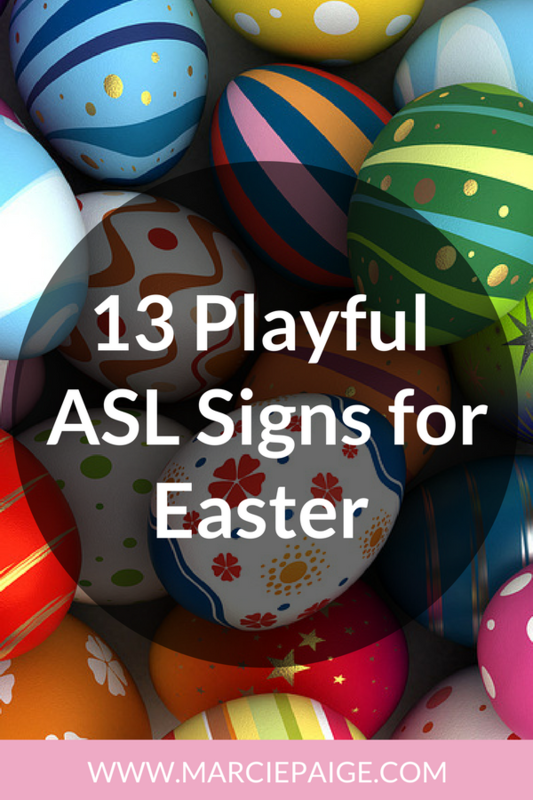 There is really no wrong age to start teaching your baby sign language. Baby sign language is communication tool used to support and enhance spoken language and development. It’s a bridge language that gives your child the ability to express needs and wants – before they learn to speak. This early communication skill reduces a lot of frustration between you and your baby. Age is irrelevant. If your child is not talking yet – it’s not too late to open the lines of communication. Based on my experience, 5-6 months is the ideal age to start. However, starting early may not be an option for your family. What if you’ve just discovered the benefits of baby sign language and your baby is already 12+ months old? Is it worth the effort to start now? Or is it too late? Let’s take a look at the reasons why an early start is ideal for most families, AND why getting a late start is better than not starting at all. No. 1 Reason:: By 5-6 months your baby is likely being introduced to solid foods. Mealtime can be a confusing activity while your baby sorts through the variety of new flavors and textures you’re exposing him to. He will be highly motivated to learn mealtime signs, because it empowers him to express his likes and dislikes… and share with you when he is full, or wants more. This makes mealtime a much more enjoyable experience. No. 2 Reason:: Your baby is starting to sit up unassisted & is showing interest in exploring the world around her. This is your opportunity to teach her a sign for the object, person or activity that has grabbed her attention. No. 3 Reason:: The earlier you start, the fewer unexplained crying fits, over-the-top whining, and epic temper tantrums you will have to deal with over the next several months. In fact, teaching your baby sign language means you may not go through the terrible-twos at all. That’s because, your child will almost always have an effective way to communicate their needs and wants, without feeling like you’re ‘misunderstanding’ what they’re trying to tell you. If you motivated, and won’t get discouraged by waiting a few months for your baby to start signing back — you can start as early as 4 months. There are some great benefits to YOU and YOUR BABY if you want to get an early start. Enjoy the journey, and be patient while you wait for your baby to start signing back. Allows you to get into the habit of signing early on. Signing with your baby will become a natural extension of your daily activities. You’ll have a longer period of time to practice and learn new signs. This allows you to be ready to introduce a new sign whenever the right opportunity presents itself. By the time your baby is ready to start signing back, they will have an arsenal of signs stored in their memory to draw from. Your baby will likely be able to sign several different words right away, rather than producing one new sign at a time. You may feel discouraged and lose motivation to sign with your baby if you don’t see results in the first few days or weeks – you may think it’s not working. If you lose interest and give up too soon, you’ll miss out on the long-term benefits. Do you see why I encourage an early start?!? To begin, Go here to learn FIVE core baby signs… totally free. No. 1 Reason:: You know you’ll lose motivation and give up if it takes too long for your baby to start signing back. It’s common for older babies (10+ months) to start signing back in 1-2 weeks. The instant gratification you get from seeing results right away, gets you excited and inspires you to continue signing. No. 3 Reason:: Older babies are often super eager to learn and will start producing signs right away. So even though they have a later start, they can fill the signing gap quickly. The frustration YOU and YOUR BABY will experience during the months prior to using baby sign language. Your baby will produce fewer signs in the beginning because they have been exposed to fewer signs for a shorter period of time. Is your baby already 8+ months old? Ready to get started? Go here to learn FIVE core baby signs… totally free. If you’ve just discovered baby sign language + you have an older baby — GO FOR IT. Getting a late start is better than not starting at all! And, if you have a younger baby, you have the option to start now or wait. After weighing the pros and cons, choose a start age that makes the most sense for YOUR family. I’m looking forward to hearing your thoughts on this! *Disclaimer: The milestones we mention in this post are a guide only, your baby may start signing earlier or later than what we’ve suggested as typical results. Every child is unique and develops signing skills in their own perfect time. P.S. I hear from disappointed moms all too often saying they wished they had used sign language as an early communication tool — but they missed the window. Don’t let that be your story! To begin, grab one of my freebies!